It's there so they can find the right business, the best business; and the right, best business nearest (sometimes). The right, best business that can fulfill whatever current need they have. It's (nearly always) the way our potential customers first engage with us. It's our opportunity to create a great first impression. And it's the first step to turning that first impression into business. What do consumers mean by 'right' and 'best'? Right is pretty straightforward: if you want a plumber it's no use if the search returns gas-fitters. Or plumbers in New York instead of York. 1. Prior use: this is always a winner (as long as the previous experience of the business was great). But to ignore the fact that this needs to be reinforced in many instances would be to miss a trick. In the case of a butcher or supermarket (a business that is used frequently) then prior use can stand alone. In the case of 'occasional use' businesses - services such as lawyers, financial advisers or estate agents, for instance - then help from 2 and 3 is most welcome. 2. Trusted friend: Unless we all choose our friends on the criteria of the reliability of their judgment when they come to choosing businesses (don't we all have some friends who drive the sort of car we wouldn't ever consider...?) then some corroborating evidence is always welcome. 3. Reviews: (independently verified reviews, as opposed to testimonials) are now universally welcomed by consumers as an aid to purchasing everything from a holiday to a dishwasher. Reviews of high-value services (finance, medical, house purchase) are especially valued. So: we are all agreed that reviews help corroborate consumer decisions as to which service or product to buy. So why do so few businesses - particularly in the area of services - help their potential customers by providing reliable reviews (on their own websites and on Google)? The answer is simple: fear. So what do all the players (the web - in the person of Google - businesses and consumers) have to do to make this work in the future? Make no mistake, Google is now the only external source of reviews that matters, in both the short and the long term (Google reviews are always the first reviews your potential clients see - anyone with doubts should look at what has happened to the shares of the world's biggest independent review sites. Independent sites like TripAdvisor and Yelp will limp on for the short term, but Google steals a bigger march on them every day. Google already give reviews massive prominence but they do need to refine and improve their offering - all G+ users must be properly authenticated so Google users can be as near 100% confident that the reviews they are reading are genuine. Google also need to make it possible for a registered G+ user to write a review on every platform (there are currently over fifteen million G+ users in the UK alone - so numbers are not an issue). Everyone needs to understand just how helpful a well-written review can be. Just as so many of us contribute to Children in Need and the Royal British Legion, we need to get into the habit of contributing reviews: so others can reward great businesses just as we do. If we understand that by changing our behaviour in this way we need never have a disappointing experience with a business again then our efforts will be rewarded many times over. Ask every customer for a review (we know you might not start off by doing so, but building your own confidence in Dialogue to the stage where you feel comfortable doing so will be one of our first objectives). Remember that Resolution works wonders with disgruntled customers, and most important of all, a negative review managed in Resolution is a customer retained, a negative review on Google is multiple potential customers lost. Don't invite reviews direct to Google: It will inevitably mean cherry-picking 'delighted' customers, and Google will see through that eventually. 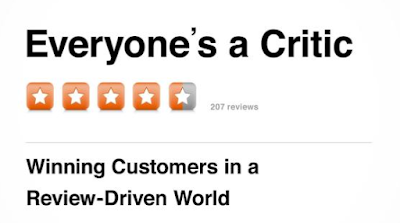 More importantly, it deprives your own website of one of the most powerful motivators for visitors there to use your business: verified customer opinions. It also negates one of the most positive aspects of inviting consumer reviews: the opportunity to right wrongs, in private. Build 'reviews' into your sales process: actively point your potential customers towards your reviews - on your website and in person. Use reviews in your marketing: potential clients respond well to them, especially when it's explained that they are not hand-picked. 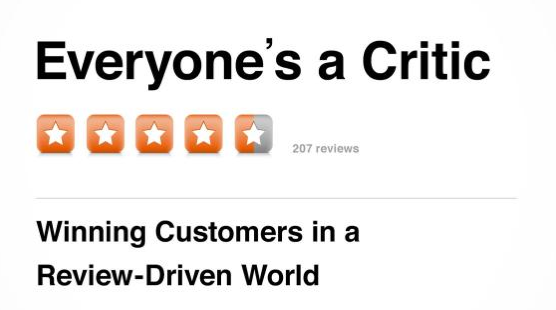 Thank your reviewers: it firms business/customer bond and is, after all, only good manners. Google will introduce local ranking soon - and businesses that don't rank in the top three in search will suffer (for more about this see here). The business on the left has adopted active review management, the business on the right has not (a client of ours and another similar business in the same locality). These screenshots admirably illustrate the crucial importance of proactively engaging with reviews. They also show how effectively review management enables consumers to differentiate between businesses at a glance. Last week you heard that the government would love to know your search history - those that think they can cheat Google will do well to bear in mind that Google has access to their search history whenever it wants!